Office Master YS70N Nesting Mesh Back Guest Chair. 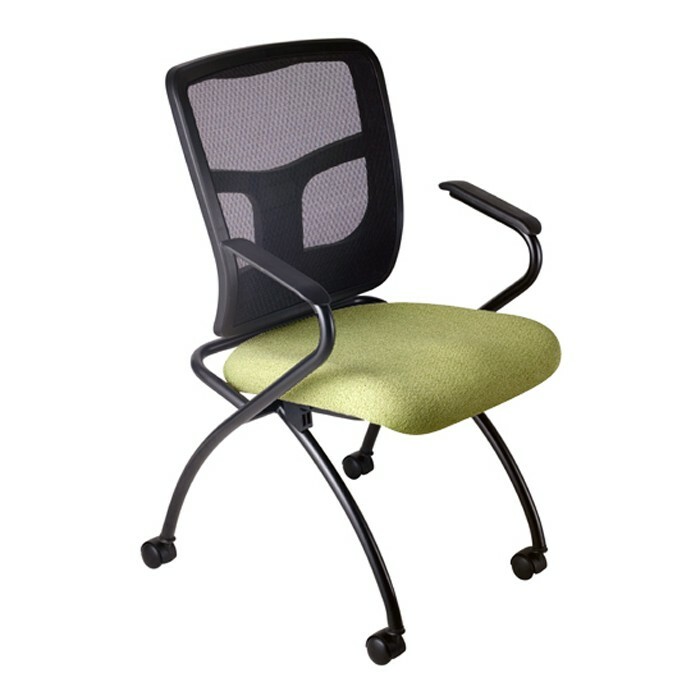 With a convenient nesting chair design the YS70N is easy to use and even easier to store. Features: Cushion seat. Mesh back. Full set of casters for mobility. Seat flips up for nested storage. Design matches the rest of the YES Series. Flip the seat up, store it away... flip the seat down, ready to go all day! The YS70N is a perfect complement to any of the models from the rest of the YES series. 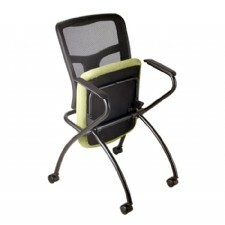 With a convenient nesting chair design the YS70N is easy to use and even easier to store. Try one today and see why customers everywhere have been having a hard time saying anything but "YES" to Office Master's YES Series! Click on the button to the right of any adjustment title for more information. NOTE: This video demonstrates general adjustment capabilities of a chair/arm similar to yours. The actual functions & appearance of your chair/arm may differ significantly from the video & illustration shown below. Contact your dealer or rep for specific details about any chair's exact functionality. All chair frames, including metal, gas cylinders, wood and plastic parts, and control handles are guaranteed against structural failure for 7-year or 12-year warranties under normal commercial use and to the first purchaser. Casters and Office Master in-stock upholstery items have a 2-year commercial use warranty. COM/COL and graded-in fabrics are not covered under Office Master warranties. Standard commercial use is defined as the proper usage for one single shift, a total of 40 hours or less per week and by persons weighing 250 lbs. or less.